Could you please explain how the TMF reference model evolved recently and how quality expectations from regulatory transformed TMF reviews? The TMF Reference Model has evolved gradually since it was first published in 2010. In general, there have not been major changes over this time but rather, smaller incremental changes that reflect the feedback from industry. For example, the most recent update of the Model in 2015 introduced a number of changes to make the Model easier to use. The notation used to denote artifacts as being either sponsor artifacts or site artifacts was simplified. The ‘Roles & Responsibilities Matrix’ was moved to Zone 1. Zone 2 was restructured to provide greater flexibility in managing artifacts from different types of trial-related committees. The greatest change, however, was the introduction of the concept of sub-artifacts or artifact sub-types. This allows organisations who adopt the Model to add any company-specific document type to their index whilst maintaining alignment with the standard TMF structure. So, they might have five different documents that are associated with a trial protocol for example, but these can now all be associated with the protocol artifact as sub-types and individually tracked within an eTMF system. These changes have had a positive impact on quality as they allow sponsors to track individual TMF documents whilst maintaining alignment with the industry standard approach to TMF management, namely the Reference Model. We are seeing the quality expectations from regulatory inspectors change to mirror the capabilities of the technology tools and processes that industry is now adopting. As tools provide the capability of managing documents in real-time and capturing detailed quality metadata, so the inspectors are expecting to see this when they conduct their inspections. When documents were being filed in paper binders, nobody really knew what quality control had been performed and when the documents were filed. But now all of this information is available on audit trails and the inspectors are asking to see it; often it is the first thing they ask for! Which tools may facilitate improvements in TMF quality and content? So adoption of just the Reference Model itself is likely to lead to an improvement in TMF quality and content, by using a commonly understood taxonomy. Content is more likely to be filed accurately by the various trial stakeholders if a common ‘language’ is being used across the industry. In addition, the TMF Reference Model Project has been publishing a variety of supporting tools to support industry’s efforts in improving TMF quality. The conference will provide plenty of detail about these tools but they include: detailed guidance on preparation for regulatory inspections; guidance on quality control and different ways that QC can be introduced; guidance on conventions for document dates, to ensure consistency within an organisation; alignment of artifacts to milestones so that there is a common understanding of when documents should be in the TMF. Considered adoption of these tools can help to diminish the ambiguity and inconsistencies that some companies experience. During the conference, I will be providing guidance on how these tools can be used in the real world. What is the potential impact of the emerging electronic TMF content exchange standard? We have seen major issues arising when TMF content is transferred between parties on a clinical trial. In many cases, this requires extensive negotiation of a data exchange agreement, usually at a high cost. And this often takes place for each and every study. It is actually quite common for TMF content from a CRO eTMF to be printed and sent in hard-copy to the sponsor because the process of electronic data exchange is so complex, expensive and time-consuming. Of course, this usually results in all the electronic metadata, audit trails and electronic approvals being lost. The primary impact of the exchange standard then is that eTMF vendors will be able to build a common exchange mechanism into their solutions. There will still be the need for a data transfer agreement but since many aspects of data exchange will have been standardised, the complexity and cost will be much reduced. There will be benefits seen not just for the final exchange of a complete eTMF between CRO and sponsor but also for other electronic exchange scenarios, including the interim transfer of content and the migration of content from one system to another (e.g. during company acquisitions). And of course, one major benefit on the horizon will be the availability of a common standard that can be used for long-term archiving, providing the ability for sponsors to electronically archive their eTMFs and not be bound to any specific eTMF technology for subsequent retrieval. What would you like to achieve by attending the TMF and Clinical Operations Quality Excellence conference? As a process consultant, I am always interested to hear about the real-life issues that Clinical Operations and other trial stakeholders are experiencing “at the coal face”. Much of what I do is helping organisations to understand, interpret and apply the regulatory framework that we all operate within. However, it is also extremely important to try to avoid the pitfalls that others have fallen in to and to learn from the wider experience across the industry. That is why conferences such as these are so valuable; there is always something we can learn from each other! Ahead of the TMF and Clinical Operations Quality Excellence, we spoke with Mr. Eldin Rammell, Managing Director of Rammell Consulting about the Development of Industry Tools to Support TMF Quality. This marcus evans will help clinical operations and documentation professionals to develop better practice and methods to improve safety and performance in clinical trials system while supporting more efficient inspection readiness. The TMF and Clinical Operations Quality Excellence will take place from the 19th until the 21st of March 2018 at Mövenpick Hotel, Berlin, Germany. Eldin has been a freelance, independent records management consultant since 2004 following a 17-year career as an archivist and records manager at Glaxo (now GSK) and Pfizer. 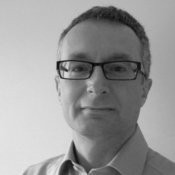 He has a very broad records management experience within life sciences, including GxP-regulated functions (pre-clinical, clinical & manufacturing) through to non-GxP functions such as human resources, finance and facilities management. He is active in several industry groups including the DIA TMF Reference Model and is current Chair of the Health Sciences Records & Archives Association (formerly called Scientific Archivist Group). He enjoys presenting and is a regular speaker at various industry conferences. He is originally from Birmingham and now lives with his family in Worcester, UK.